On Wednesday, the New York Times reported that an autopsy determined the death of a man from St. Petersburg, Florida earlier this month was caused by an exploding vape pen. The director of investigations at the medical examiner’s office for Pinellas County found that 35-year-old Tallmadge D’Elia suffered fatal injuries when his e-cigarette exploded, hurling fragments into his head and starting a fire that burned 80 percent of his body. The examiner ruled the death an accident. Local CBS affiliate WTSP-TV reported on Wednesday that D’Elia’s body was discovered inside his burning home on May 5. A piece of the vape pen, bearing the logo of Smok-E Mountain Mech Works, was later removed from D’Elia’s head, according to the Times. A representative for Smok-E Mountain, which manufactures a specific type of pen called a mechanical mod, told ABC News that their devices do not explode, suggesting instead that the atomizer or battery could have malfunctioned. 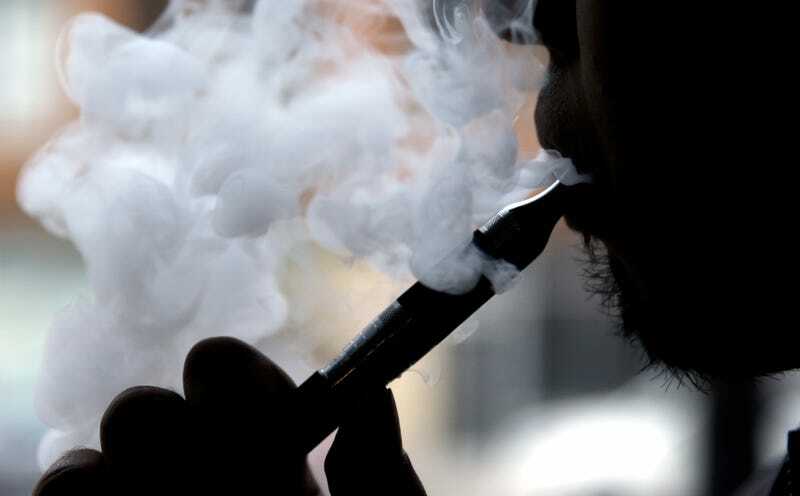 A review issued by the United States Fire Administration last year found that out of 195 vape pen-related fires and explosions occurring between 2009 and 2016, none resulted in death, but 133 people were reportedly injured.